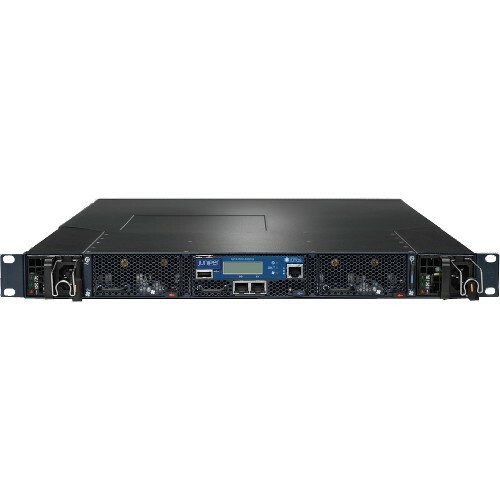 The pre-owned Juniper QFX Series is made up of high-end switches designed for the most demanding computing environments, such as large-scale enterprises and service providers. At BrightStar Systems, we focus on providing used Juniper QFX Series switches in excellent condition at a competitive price. BrightStar Systems is an independent dealer of pre-owned Juniper QFX Series switches, in addition to other used Juniper hardware. This page provides an overview of our wide selection of used Juniper QFX Series switches, and describes many of the benefits of purchasing spare QFX Series switches, as well as how they compare with other Juniper switches. The QFX Series is available in three different subseries of switches, the QFX5100, the QFX5200 and the QFX10000. The QFX5100 and QFX5200 subseries are designed with a smaller footprint, which makes them optimal for networking facilities with limited space. The models in the QFX10000 subseries vary more in terms of both size and specifications. Read on to find out more about each of the QFX subseries. 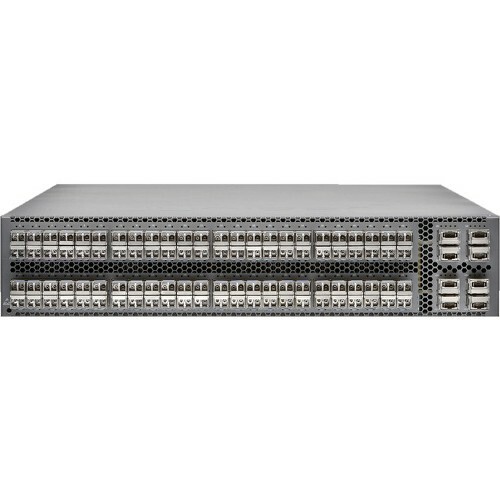 There are seven models of used Juniper QFX Series switches that fall under the QFX5100 subseries. All of these models, except for the QFX5100-96S, are only 1 RU (rack unit), and are made as fixed-configuration switches. The QFX5100-96S is 2 RU in size. Other than the QFX5110-48S and the QFX5110-32Q, which can be configured to support 100G Ethernet, all the QFX5100 models support only up to 40G Ethernet. Many of the QFX5100 Series models include both 10G Ethernet and 40G Ethernet port configurations. Due to the variety of optical form factors these switches are equipped with, many of the 40G Ethernet ports can also be configured as four 10G Ethernet ports with the right cables and optics. There’s one model in the QFX5200 subseries, and it also is designed with a fixed configuration and is only 1 RU in size. 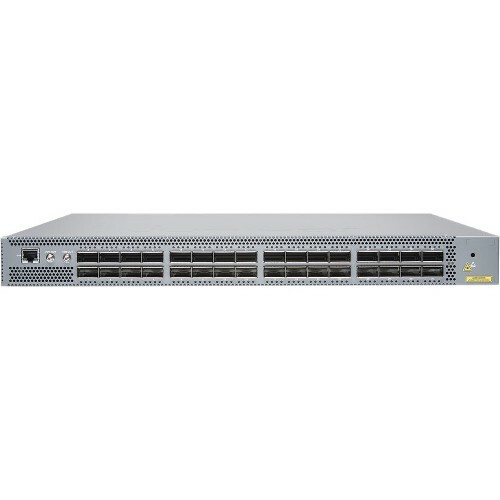 Used Juniper QFX5200 switches support up to 100G Ethernet. The port density ranges from 32 ports for 100G Ethernet configurations up to 128 ports for 10G Ethernet configurations. The QFX10000 subseries is comprised of four models, the QFX10002-36Q, the QFX10002-72Q, the QFX10008 and the QFX10016, which are 2 RU, 2 RU, 13 RU and 21 RU, respectfully. Although the QFX10002-36Q and the QFX10002-72Q are the same size, the QFX10002-72Q has twice the port density of the QFX10002-36Q. The QFX10008 and QFX10016 models are capable of much greater port densities than the other two models, due to their larger size. Used Juniper QFX Series switches are some of the most powerful switches available, and there are many benefits to purchasing pre-owned Juniper QFX Series switches – especially for sizable enterprises and service providers. Although the QFX Series does not have as wide of a selection as other used Juniper switch series, such as the EX Series, it still includes comparable offerings in terms of both size and specifications. Possibly the most valuable attributes of used surplus Juniper QFX Series switches are flexibility and scalability. The variety of available port configurations in each model makes it easy to find the best switch for the job, while also ensuring you have the necessary space to expand in the future if your network grows. A direct Juniper QFX Series comparison highlights some of the most significant differences between the three subseries. One advantage QFX5200 switches have over QFX5100 switches is that they can be configured with 25G and 50G Ethernet ports, in addition to 10G, 40G and 100G Ethernet ports. The biggest factor that divides the QFX10000 models is a fixed versus modular configuration. Both the QFX10008 and QFX10016 feature modular designs, whereas the two QFX10002 models are designed as fixed switches. The QFX10008 and QFX10016 models are the only two models in the entire series that feature modular designs. At BrightStar Systems, we want you to have all the necessary resources in order to make the right purchase for your needs. If you’re looking for more in-depth information about QFX Series switches or any other pre-owned Juniper switches, we have available pre-owned Juniper QFX Series datasheets and MX Series PDFs that you can review. Our datasheets include detailed specifications and pre-owned Juniper QFX Series price lists that will help you decide which hardware to purchase. You can also use our datasheets to compare models across different series, as many spare Juniper switches share similar specifications even if they are not part of the same series. 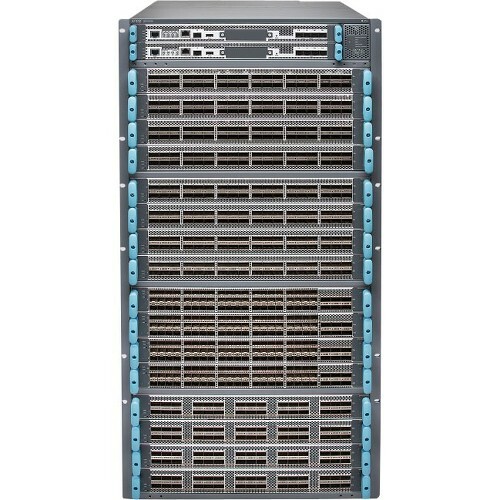 Also, ask about our QFX3500 and QFX3600 switches. If you’d like more information on our used Juniper QFX Series switches, or would like to know which models we have in stock, contact us today.